The state of New Mexico, with its long history of Indigenous culture and European settlement, is an excellent place to experience the Old West. 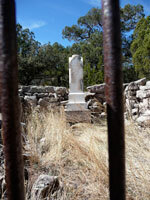 And Sierra County has a wealth of history ready for you to explore. Our itinerary begins at a museum named for Geronimo, the chief whose tribe once inhabited his area. 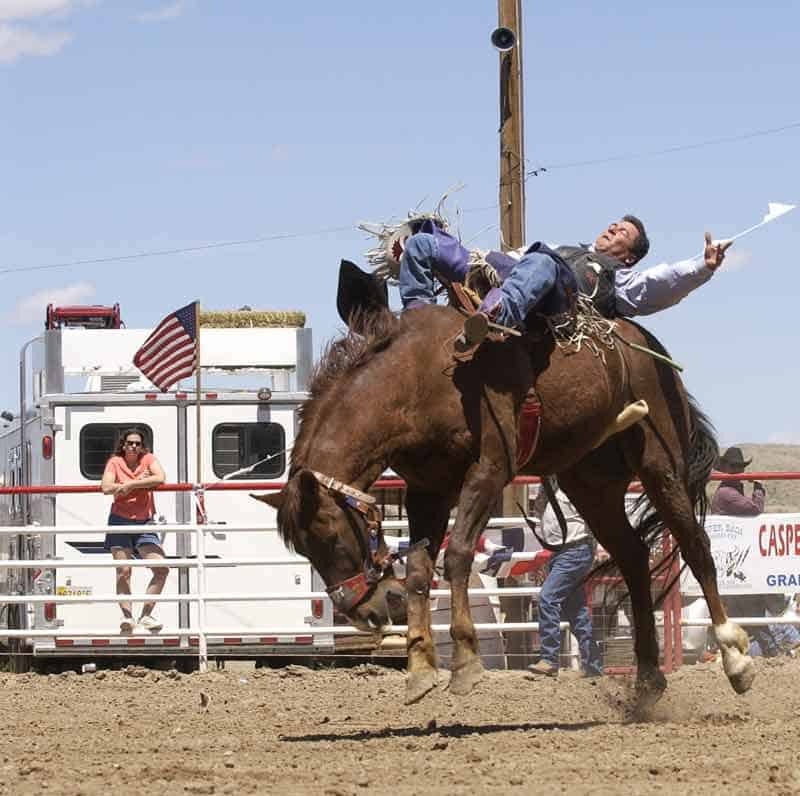 But the west isn’t all in the past; “real live cowboys” live and work on ranches and farms right here in Sierra County. The museum named for the famous Apache shaman and the town’s mineral water contains many wonderful artifacts from the old West, including a room devoted to Geronimo, a miner’s cabin, and world-class pottery and arrowhead collections. Check out the gift shop inside the museum, where you’ll find a nice selection of books on local history. 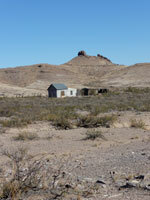 Chloride is unique in that it is essentially a former ghost town. Undergoing an active restoration town-wide, the highlight of Chloride is the Pioneer Store Museum, a former mercantile that is fully stocked with items dusted off after nearly 80 years. Next door there’s a gift shop. Both the museum and gift shop are open 7 days a week. The town has a colorful history, a walking tour and a hanging tree. A restaurant, the Chloride Bank Cafe, is open Thursday through Sunday serving home-cooked American and Mexican food right across the road from the museum and shop. 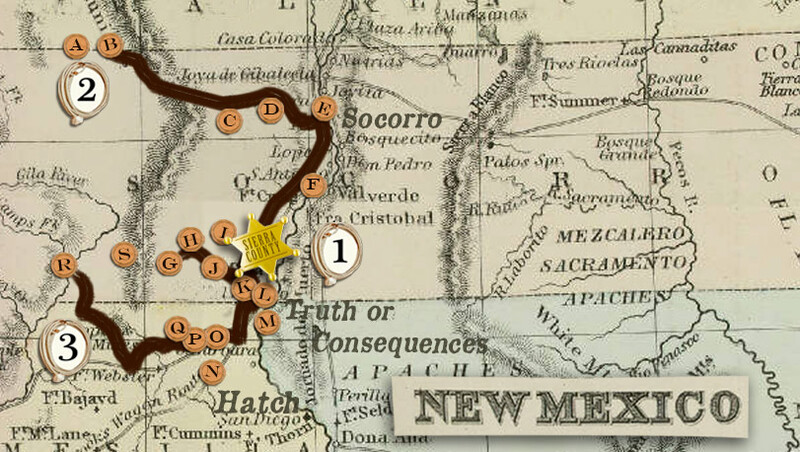 Directions: north on Interstate 25 to NM 52 west, along the Geronimo Trail Scenic Byway‘s northern leg. 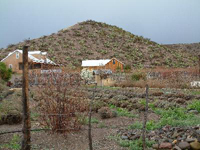 Cuchillo, established around 1863 and named for a nearby creek and a local Apache chief, was a thriving farming community during the mining boom of the 1880s. Considered a living ghost town, and declared a “Traditional Historic Community” in July of 2011, it features a church that is still in use by its few remaining residents, and its former bar is reportedly home to some local characters from the past. In other words – some say it’s haunted. If that’s your cup of tea, why not spend the night in the accommodations next door? 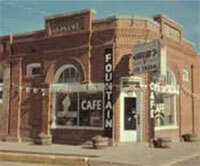 Winston, originally called Fairview, has a convenience store with fuel and very nice shower facilities for rent. Several outfitter/ hunting guides are located in the area. 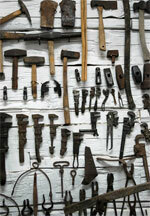 Take a drive by the Frank Winston Carriage House for a peek at a piece of Winston History. Winston is the setting for the Annual WCC&D Fiesta, held the 1st Saturday in June by the communities of Winston, Chloride, Chiz and Dusty, who celebrate with a parade, cow chip poker, and western dance. Monticello was built up as a town in the traditional Spanish style around the turn of the 18th century, and later became part of the Apache Indian Reservation. It retains its quiet charm and is home to organic farms and an old-world-style vineyard (where an award-winning balsamic vinegar is made). 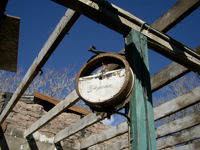 Near the historic Plaza, you’ll find the remnants of a WPA school. Monticello’s old church is still used by a local congregation. There are no public bathrooms or other facilities up this way, so plan ahead. It’s definitely worth the drive if you’re up for some beautiful scenery. The ranch is open to guests between March and mid-November each year. 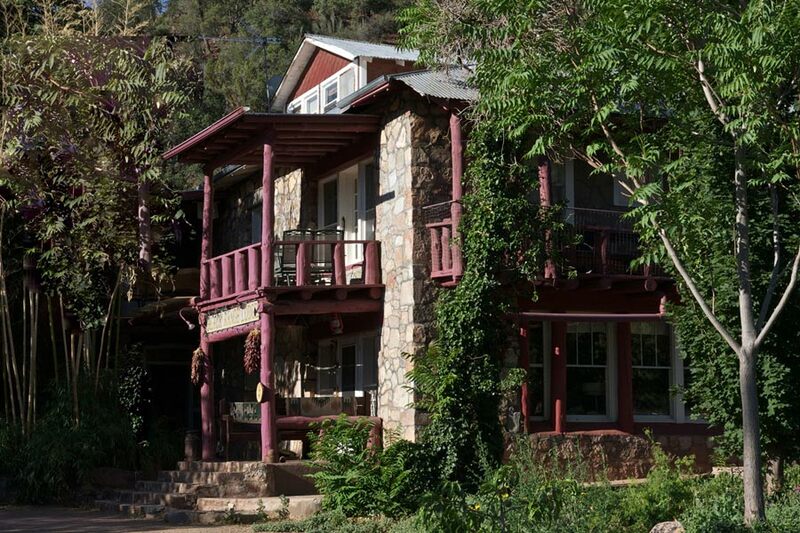 Visitors to the ranch can reserve for 3-7 nights and spend each day riding horses, hiking, or just hanging out in the amazing Gila Wilderness area. Each group has access to their own guest cabin and a private bath. Children under 6 are welcome to come along but cannot participate in trail rides. Pets are not allowed. MAP – National Historic Trail is licensed CC-BY-SA 2.0, © Samat Jain. These two recently-established trails offer the hiker a chance to experience the infamous Jornada del Muerto first-hand. Each features interpretive signage and parking, but no other services. Directions from Truth or Consequences: travel east on 3rd Street from Date (you’ll see a sign for the trails at this intersection). 3rd Street becomes Highway 51; at County Road A013 (Upham Road), turn south. You’ll come to Yost Escarpment first. Point of Rocks is 8 miles further. 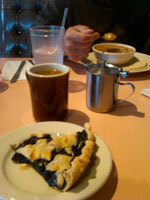 Oh yeah, there’s pie in Pie Town alright, at a least two restaurants: the Pie Town Cafe and the Pie-O-Neer. So you’d better save room for two pieces—at least! Both restaurants are situated along the highway and both have garnered a lot of press and attention. An award-winning full-length documentary, “The Pie Lady of Pie Town,” was released in 2014, and the Pie-O-Neer was featured on CBS Sunday morning. Directions: Interstate 25 North to exit 150/Socorro, then west on Highway 60. The tiny town of Magdalena is surprisingly rich with things to do. In addition to shops, galleries and restaurants, the town boasts a Box Car Museum and several interesting cultural events throughout the year. The Magdalena Old Timers Festival and Reunion even includes a mini cattle drive. Folks who want to play cowboy can join up with single-action enthusiasts for monthly target shoots in nearby Old Magdalena. Information on some of Magdalena’s sites and attractions is included in our Five Day Journey Video. Socorro Plaza is an old-fashioned town square that features a gazebo and lovely shaded benches. The square is home to several sculptures and interpretive plaques outlining the history of this frontier town. 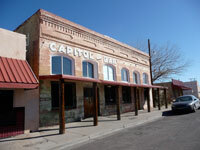 Businesses on the Plaza include shops, banks, a gallery, and a historic watering hole, and within easy walking distance are restaurants, a cinema, the historic San Miguel Church, and the Garcia Opera House, (a National Historic Site) which occasionally plays host to the Socorro Community Theater. Stop into their Visitor Center for walking maps and so forth. 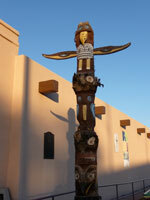 Information on some of Socorro’s attractions is included in our Five Day Journey Video. Directions: Interstate 25 North to exit 150 or 147. Easily seen from Highway 60 (south side) between Magdalena and Pie Town, or turn in for a closer look. See our Space Trail page for more info. If you continue past Pie Town and drive all the way to Quemado, you’ll be very close to Walter de Maria’s “Lightning Field” installation – a grid of lightning rods placed vertically on a 1m x 1k section of ground about 8 miles east of Quemado. It’s open to visitors who reserve in advance for overnight stays. Details are on Dia Art Foundation’s website. The Mimbres people constructed their homes in caves at this site around the turn of the 14th century. They left behind stone walls, carefully constructed stairways and striking pictographs or cave drawings. Ranger-guided tours are offered daily, along with self-guided tours, however some access roads to the site may be closed due to snow during winter months. 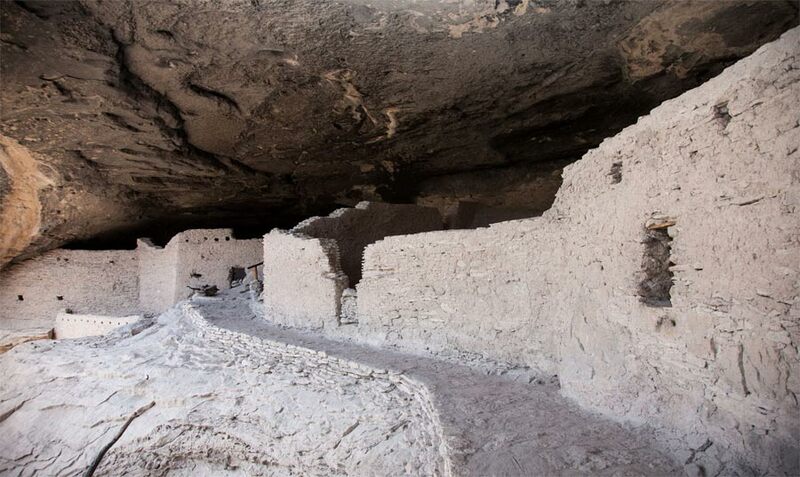 The cliff dwellings are open every day from 9 am to 4 pm. Admission is $3 per adult. Guided tours are offered at 1 pm every day except during busy holiday weekends. Tours start at the cliff dwellings. It takes about one-half hour to walk up to the cliff dwellings from the trailhead. Visitors may walk the self-guided trail to the cliff dwellings anytime during park hours. Volunteer Interpretive Park Rangers are on duty during park hours to help answer questions. Visitors should carry water, dress for the weather and wear sturdy shoes suitable for potentially icy and muddy trail conditions. The half-mile hiking trail to the cliff dwellings is steep and uneven in places and includes numerous steps. The trail is not wheelchair accessible. Views of some of the cliff dwellings are possible after a 1/4-mile hike in the canyon bottom. Directions: Interstate 25 South to Exit 63/Highway 152 west; north on Highway 35; north on Highway 15. Hillsboro was once the Sierra County Seat, and today is home to the Black Range Museum, galleries and antique shops, and a vibrant community center which plays host to monthly concerts and other events throughout the year. 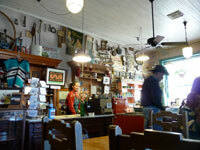 Lodging is available for overnight stays, and the highly popular General Store Cafe is always well worth the stop. Visitors can take a self-guided walking tour which includes several historically important ruins and buildings. Visitors to Kingston will find it hard to believe that the tiny village was once home to 7,000 people and the largest silver mining town in New Mexico. Kingston is Sierra County’s gateway to the Gila National Forest. The Black Range Lodge offers lodging, natural building workshops, and other retreats. The oldest building in town is the Percha Bank, which is open as a museum by appointment. There is a short self-guided tour. The Kingston cemetery is located east of town, accessible from the highway. This trail is just a small part of the expansive trail system in the majestic Gila National Forest. The five-mile segment of Trail 79 from Emory Pass to the fire lookout on Hillsboro Peak is a popular day hike with exceptional mountain vistas. 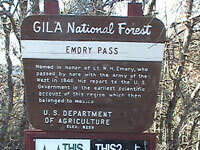 Its trail head is conveniently located at the peak of Emory Pass near the Scenic Overlook’s parking area, west of Kingston. Definitely worth a stop, even if it’s just for a quick gander. The self-guided walking tour of Lake Valley includes access to the inside of the restored school house. Water, a restroom and picnic facilities are available at the site.